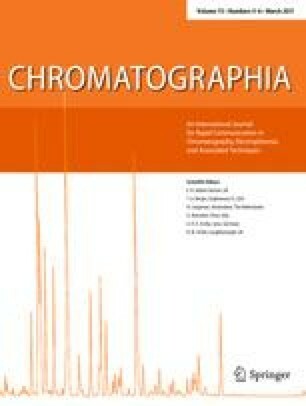 Some acidic chiral templates were used to prepare open tubular (OT) molecule imprinted polymer (MIP) capillary columns to explore the effects of molecular structures of templates on chiral recognition capabilities and to verify the feasibility of the general MIP preparation protocol introduced in the previous study. The templates are phenyl carboxylic acids and their derivatives. Optimization was carried out for chiral separation of template enantiomers for each MIP column through varying pH and composition of eluent. It was found that the preparation protocol can be successfully applied for the appropriate templates with functional groups fulfilling the three-points interaction rule. The chiral separation performances were quite satisfactory for MIPs of such templates although they are yet inferior to the separation performances of the MIP columns fabricated with the templates of profen drugs (2-arylpropionic acids with a large substituent on the phenyl ring). Subtle variations of the template molecular structures have been found to be critical to enhance chiral recognition ability of the resultant MIP column. This research was supported by Basic Science Research Program through the National Research Foundation of Korea (NRF) funded by the Ministry of Education, Science and Technology (2010-0015720).